I am working here in Cebu for more than one year. Staying in the Queen City of the South is an opportunity to visit famous places that I can only read and see in the pages of Philippine History Books. 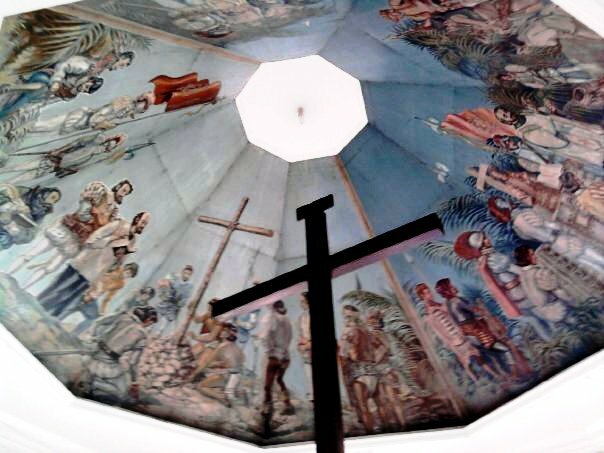 Let me share photos of my first visit to the location of Magellan's Cross, last July 16, 2010. Siquijor Province (2009)| These shots of two untitled paintings were taken at the gallery of Siquijor's Capitol Building (Provincial Planning and Development Office) during our courtesy-call and data gathering for our NGO program expansion in the said province.